On Sunday, March 6 the high school students had their graduation ceremony. For the karate club, 5 students graduated; Kaz, Daichi, Shinya, Yukari and Risa. 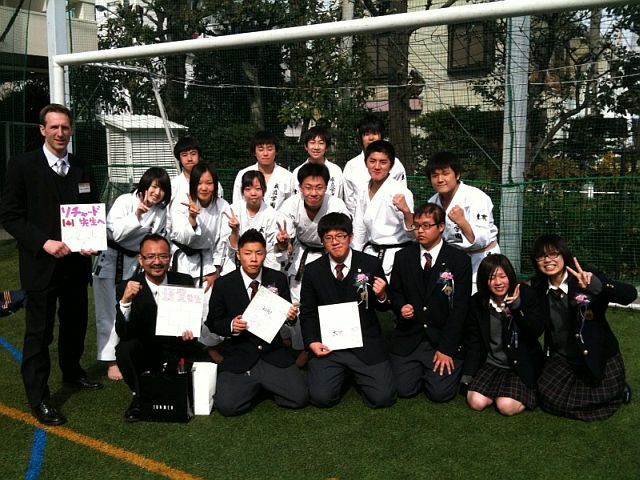 Except for one, they were beginners to karate when they joined 3 years ago as 1st year students, but they all tried very hard. The girls made it to Nationals once and the boys and girls made it to the summer Kanto Regionals last year.